I like to call the Disney Animation Building in Hollywood Land at Disney California Adventure (DCA) Park a ‘gem’ for a number of reasons. 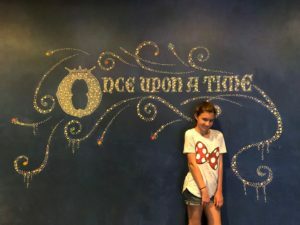 While, yes, it is a cool place on a hot day, a dry place on a rainy way, a warm place on a cold day, it contains several attractions that I have found many visitors to DCA can easily miss. 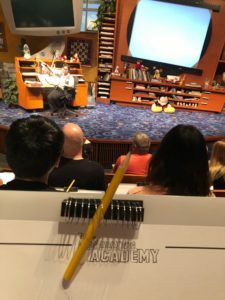 This first one I want to talk about is the Animation Academy. 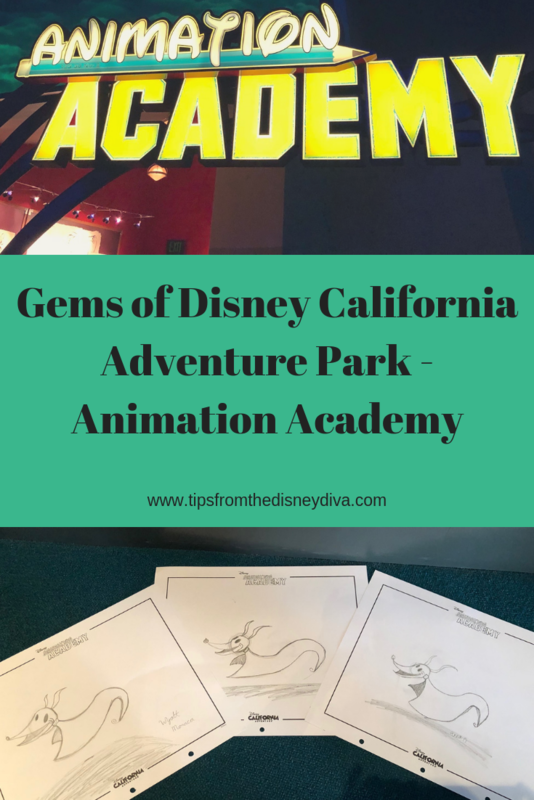 If you have ever dreamed of sketching like a Disney animator, this is a must-do! It is open to any age and every skill level. Every 30 minutes, you can learn to draw a new character, from The Mouse to Piglet to Jack Skellington. There are no reservations, so just show up! To get to the Animation Academy, you enter the Disney Animation Building into the Animation Courtyard Gallery. This lobby area is one of my favorite places to take a rest. 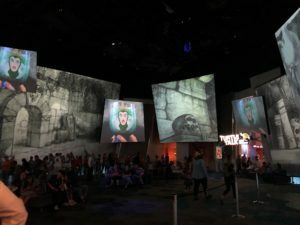 Scenes and songs from your favorite Disney movies project onto screens and the walls above you. To your right, is the entrance to the Animation Academy. There should be a board listing the time of each sketch and which character will be sketched. Sometimes this board is displayed outside the building, so check there first before you enter. 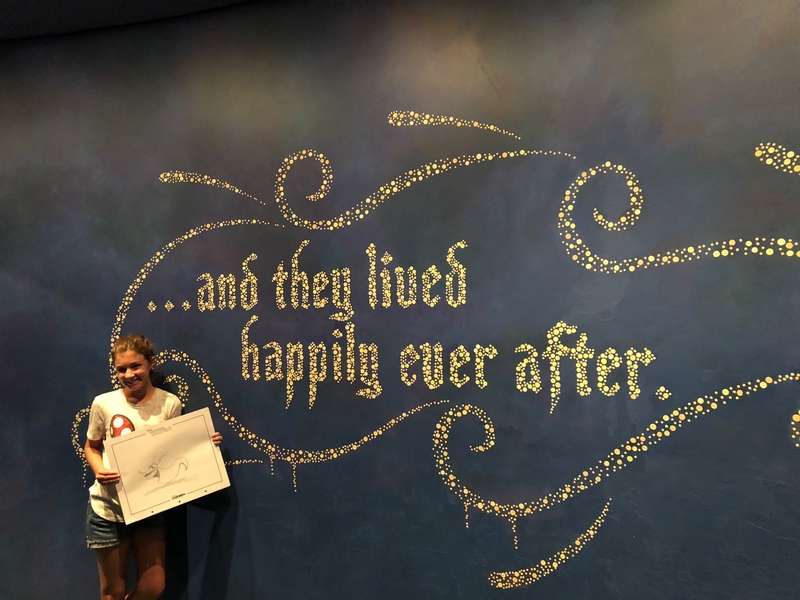 DIVA TIP – Take a photo of the board so you can remember when you may want to return to sketch a favorite!There aren’t any listings available of which characters are being drawn on the Disneyland App other than the board. At the time of your sketch, the doors to the Academy will open, and you step down into the sketch room. 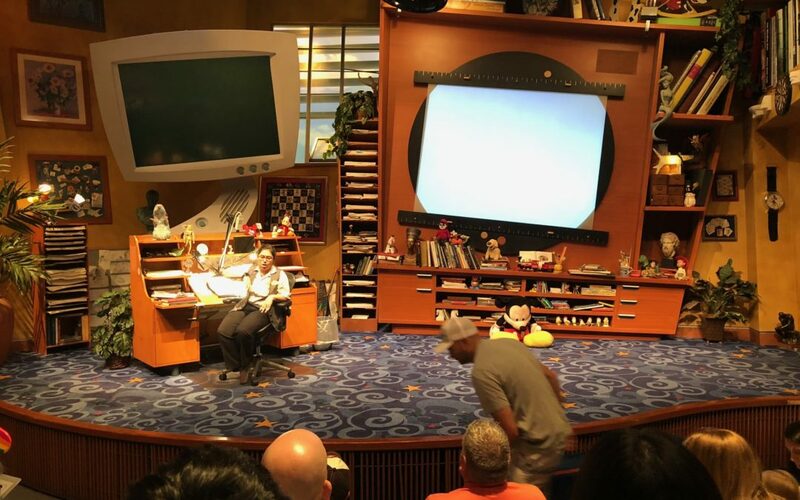 At the front will be a stage with one of the Disney Animators that will lead your class. Pick any row, grab a paper, pick a seat, and put your sketch board in your lap. 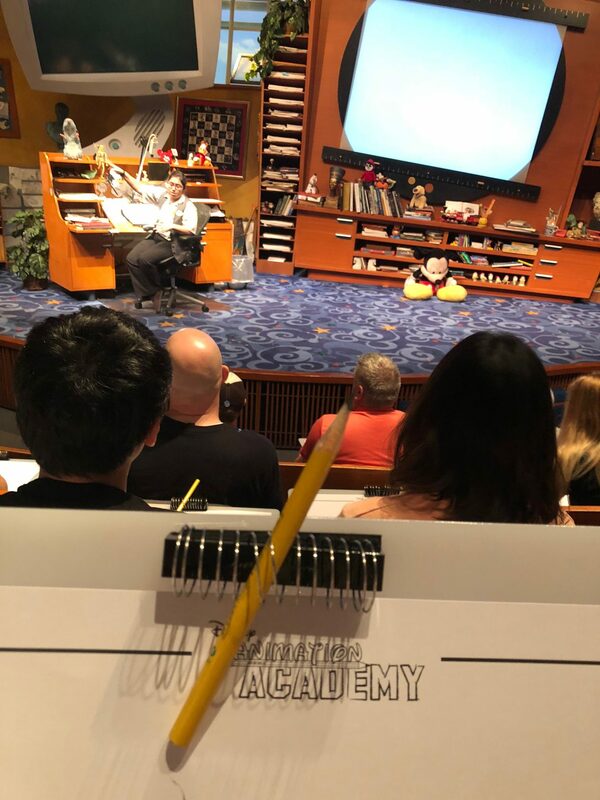 The Animator will give you step-by-step instructions on how to draw your character, and will be drawing one along with you. Your pencil does not have an eraser, and that is on purpose, because there are no mistakes! Just keep drawing and you’ll be amazed at how well the results will be from just the simple shapes and lines that you have drawn. DIVA TIP – The Animator does go relatively fast, so if you do have little ones with you, I suggest that at least one parent be on hand ready to help them along in case they get behind or get frustrated. 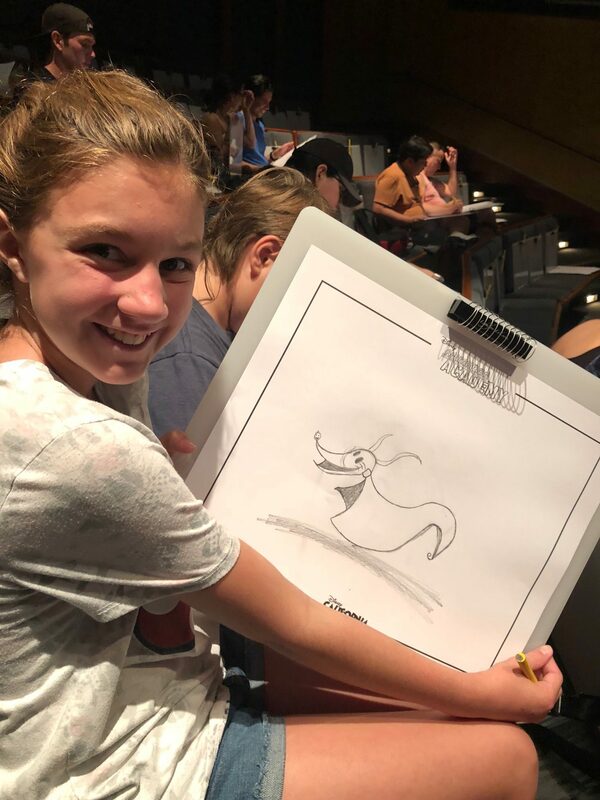 At the end of your class, everyone gets to show off their sketch to each other, and the Animator will pick a person that will get to keep their sketch. On your way out, you do have the choice to recycle your paper, but I suggest you keep it! It is the best part – you get a free Disney souvenir to take home with you! Over the years, I have kept all of our sketches to see how our ‘talents’ have improved. Classes typically start about an hour after park opening with the last one being 30 minutes before park closing, but that can vary. So you should check the Disneyland App for the exact times. The Animation Academy can accommodate both wheelchairs and Electric Conveyance Vehicles, and assisted listening devices are available. I’d love to hear about which characters you have drawn! Be sure to let me know in the comments. 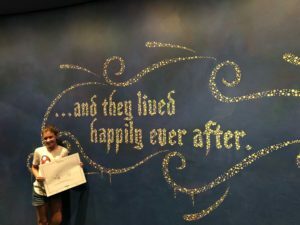 There are a few other great attractions in the Disney Animation Building that I will detail in future blogs. 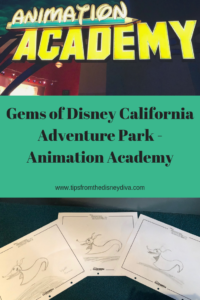 Would you like to visit the Animation Academy? Be sure to contact Patricia at All for Dreams Travel so she can provide you with a FREE quote personalized for your trip.